I earn far more miles from credit cards than I do from flying or from hotel stays. Credit card sign-up bonuses can give a big boost to anyone’s account! While I’m not one of the big bloggers who gets a cash comission from the credit card issuers, the credit card companies will allow regular members to receive a referral fee (of points/miles) if they refer someone to the card. 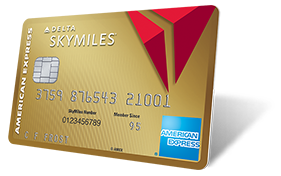 I’m a little late putting this one out there, but from now through this Tuesday, November 17, 2015, if you’ll allow me to refer to to the Gold Delta Amex card, I’ll earn bonus miles if you’re approved. You’ll get 50,000 bonus miles after using the card to make $2000 in purchases within the first three months after the approval date (not the date you receive the card). If you make a Delta purchase with the first three months you’ll also get a $50 statement credit. To refer you, just send me your first name and your email address to 2btraveling@gmail.com. NOTE: You may be able to get an offer for 60K miles + $50 statement credit. You can find instructions here. Also, it is not open to those who currently have this card or have had it in the past. I believe the $95 annual fee is waived for the first year but cannot guarantee that. If you don’t need Delta SkyMiles, what about hotel points? I’m also allowed to refer folks for the Chase Marriott Visa. I value this card if only for the reason that it offers a free night stay each year that you renew the card. The free night is good at any category 1-5 Marriott, so that pays for the annual fee right there. This card does not have foreign transaction fees, making it a good one for international travel. 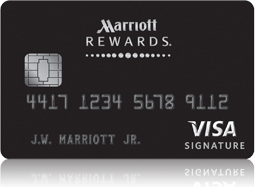 In addition, this card earns 2x points for purchases from airlines, car rental companies and restaurants and 5x points for Marriott purchases. Plus for every $3000 in purchases, you get one credit toward elite status – that’s in addition to the 15-night credit you get each year at your account anniversary! You’ll get 50,000 bonus points if you spend $2000 in the first three months after account approval. The annual fee is waived the first year and is only $85 after that. If you think you’d be interested in this card, just send me an email at the address above and I’ll send you the phone number and the codes you need to get this offer. Note that there is an alternate version offering 80K after $3K spend, but the $85 annual fee is not waived. Application Link. I won’t get bonus miles for this but it is a better offer so I wanted to be sure it was out there. Neither of these offers is available to those who currently have the card or have received the new cardmember bonus in the last 24 months.